Pokémon Go: the world's first augmented reality app to become a household name. Niantic's mobile AR game is still going strong two years after it first released, with a constant drip of events and updates keeping budding trainers glued to their phones and pounding the streets. And while it hasn't managed to top the peak of its popularity in 2016, it's still going strong and finding plenty of new ways to improve its player experience. So what's the latest news for Pokémon Go? As you'd expect, brand new features are being added all the time and community events are still going strong. So without further ado, here's our guide to all the latest Pokémon Go news and updates. What's new? Giratina is returning to Pokémon Go for a limited time. Legendary Pokémon Giratina has returned to Pokémon Go for a limited time only – and it's ready to transform. Giratina in its Altered Forme originally appeared in Pokémon Go in November 2018, but this time the Renegade Pokémon has reemerged from the Distortion World to "renew and transform". That means an extra form to battle against. Starting March 28, Altered Forme Giratina will return to Pokémon raids until April 2, when it will transform into Origin Forme. You will then be able to battle Origin Forme Giratina until April 29. Thursday, March 28 at 1pm PDT (8pm GMT, 7am AEDT on March 29) to Tuesday, April 2 at 1pm PDT (8pm GMT, 7am AEDT on April 3). Tuesday, April 2 at 1pm PDT (8pm GMT, 7am AEDT on April 3) to Monday, April 29 at 1pm PDT (8pm GMT, 7am AEDT on April 30). When's the next Pokemon Go event? The Spring Equinox event is currently live in Pokémon Go. The northern hemisphere is entering the Spring (while the southern hemisphere is approaching autumn), so to celebrate the coming equinox Nintendo is throwing a Grass-type event. The Equinox event sees Grass-type Pokémon - such Oddish, Exeggcute, Sunkern, and Shroomish - appearing more frequently in the wild. Meanwhile, Lunatone and Solrock will switch hemispheres at the start of the event, returning to their original hemispheres after the event. Grass-type Pokémon will be available to challenge in raids and limited-time Grass-type Pokémon Field Research will be available during the event. In addition, two new moves will be permanently added to the game: Acid Spray and Leaf Tornado. The event will run from March 19 at 1pm PDT (8pm GMT, 7am AEDT on March 20) until March 26 at 1pm PDT (8pm GMT, 7am AEDT on March 27). When's the next Pokemon Go Community Day? Pokémon Go's next Community Day takes place on March 23. The event will run for three hours and during that time players will have an increased chance to catch Treecko - you'll also have the chance to encounter its shiny form. If you evolve your Treecko into a Sceptile before the event ends, then you'll be able to learn a special move - Frenzy Plant. The event will run on March 23 from 3pm to 6pm local time (globally). So you don't need to worry about converting to your timezone. In addition, Pokémon Egg Incubators will be four times more effective than normal, meaning you have to only walk a quarter of the distance you usually would have to in order to hatch an egg. Lure Modules will also remain active for three hours, rather than 30 minutes. Pokemon Go update: what's next? 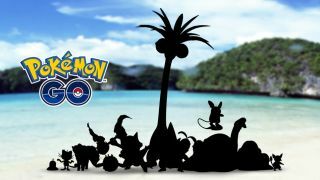 Niantic hasn't revealed what updates they have planned next, but we expect a summer/winter event in the coming months. If the Spring event is anything to go by, we will be seeing seasonal content for the summer and winter events - potentially including limited time prizes? For summer, we imagine there will be a Fire-type event (because it's warm, right?) while winter is likely to see a Ice-type event. Want to buy yourself a Pokémon Go Plus wearable? Check some of today's best deals down below.